Sussex are on the road for the second Specsavers County Championship match in succession, as they head to New Road to take on Worcestershire from Sunday onwards (11am start). It was a frustrating week for Sussex at Derbyshire as rain ruined their chances of claiming a first victory of the new season. After bowling out the hosts for 191 in the first innings, with left-arm seamer Lewis Hatchett taking 5 for 58, and debutant Stuart Whittingham impressing to claim two scalps, Sussex racked up 468 for 5 declared. Ed Joyce struck a his career-best score of 250, his third first-class double-hundred within the last twelve months, as he put on a record-breaking partnership of 310 with Luke Wells, who hit 116. It was the highest stand for any wicket against Derbyshire and Sussex’s fifth-highest second-wicket partnership of all time. But despite the 277-run lead, the final two days of the match were almost completely washed out and Sussex were unable to push for a win, sealing a fourth Championship draw on the bounce. Skipper Luke Wright remains on the road to recovery so will miss the match with Worcestershire, Ben Brown continuing the captaincy duties from behind the stumps. Ajmal Shahzad is included in the squad after missing the Derbyshire game with a side injury, but Chris Jordan remains unavailable as he continues his IPL campaign with Royal Challengers Bangalore. 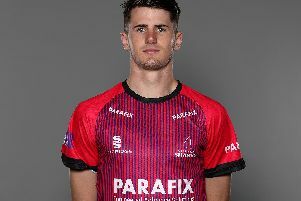 Squad: Danny Briggs, Ben Brown, Harry Finch, George Garton, Lewis Hatchett, Ed Joyce, Matt Machan, Steve Magoffin, Chris Nash, Ollie Robinson, Ajmal Shahzad, Ross Taylor, Luke Wells, Stuart Whittingham.